We believe in the persuasive humility of artistic expression, and encourage writing that responds to the inherent violence of inequality – writing that unleashes uncomfortable questions, writing that gets us to re-examine our silences. Though based in Mumbai, India, ULR aims to be a part of the ongoing global dialogue around feminism by provoking art, perceptions and thoughts through the medium of literature. The Usawa Quest is a space for conversations and long form journalism on feminist enquiries in culture and politics. If you disagree with hegemonies, hierarchies and naturalized biases, and wish to challenge the status quo anywhere in the world, this is your space. Usawa Talks: Conversations for Equality is an initiative to promote dialogue, debate and discussions around socially relevant issues pertaining to the various ways in which inequality and inequities manifest in society today. As part of this feminist initiative, we invite writers, artists, scholars and professionals from a range of diverse fields including but not limited to activism, literature, academia, film, visual art and performing art. SMITA SAHAY is an Indian poet, writer and editor. Sahay co-conceptualized and served as Associate Editor of ‘Veils, Halos & Shackles - International Poetry on the Oppression and Empowerment of Women’ (Kasva Press 2016). The anthology received critical appreciation in press and literary journals around the world, and is currently being taught in literature and gender studies courses in colleges in New York. Smita’s writings have appeared in national and international journals and anthologies, and she has read her work at festivals such as Poetry at Prakriti and the Kala Ghoda Arts Festival. She teaches creative writing at the Whistling Woods International Film School, Mumbai and elsewhere. 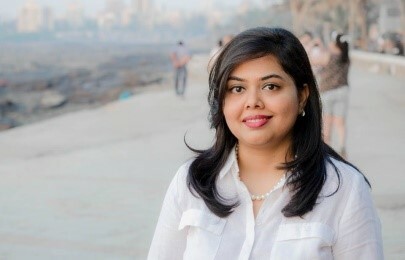 Sahay holds an MBA from the Indian School of Business and is the founder of Calm Space that catalyses community and creates safe spaces for survivors of anxiety, depression, chronic pain, chronic fatigue and fibromyalgia. LAVANYA SHANBHOGUE ARVIND is an author, feminist research scholar and most recently a TedX speaker. She is the winner of the Commonwealth Short Story Special Prize (2011). Her short story, 'The Crystal Snuff Box and the Pappudum,' was adapted for radio by the Commonwealth Broadcasting Association. 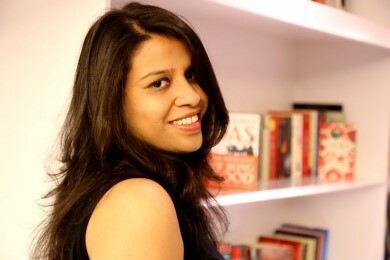 Her debut novel The Heavens We Chase was recently published by Roli Books, New Delhi. She holds an MFA in Creative Writing from the City University of Hong Kong. She was selected to attend the University of East Anglia India Writing Workshop in 2014. Her writings have been published in both Indian and International presses including the Griffith Review, Australia, Blink, Hindu Business Line and Huffington Post, amongst others. She is currently pursuing an Integrated MPhil-PhD degree in Women’s Studies from the Tata Institute of Social Sciences (TISS), Mumbai. She was recently awarded the Institute Gold Medal (2015-2017) for academic performance by TISS. She has been awarded the Writers Immersion and Cultural Exchange Fellowship (WrIce Fellowship), RMIT University, Australia.